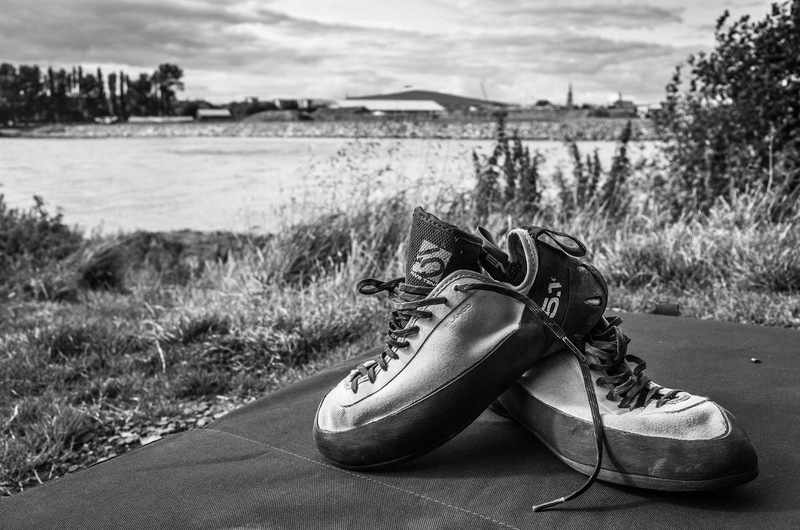 We recently had the chance to test the recently relaunched Anasazi Blanco climbing shoes from Five Ten. The Blancos have quite a cult following and, like so many classic products, disappeared from the market for a time. Now they're back but did they live up to the hype? As anyone who has endured a toe curling break-in period knows, performance climbing shoe fit is specific to the user. Taking that into account, our tester – longtime La Sportiva user with a medium-wide forefoot – was concerned about the narrow profile of the Blancos. Whilst the break-in period wasn't without discomfort, those concerns were largely unfounded. The Blancos, whilst undoubtedly a narrow shoe, give just enough in the toe box to accommodate a range of foot shapes. This is aided by the luxuriously spongey tongue and the smooth inner fabric. Five Ten have also done a great job in positioning all of the stitching away from potential hot spots. Overall this was a comfy shoe compared to more down-turned edging machines like the La Sportiva Miura VS, etc. However, they are performance shoes and fitted accordingly (1 full size down from street shoes/ ½ size up from Anasazi VCS / Pinks) you would not want to keep them on much longer than a pitch or 2. The first thing that anyone trying the Blancos for the first time will notice (apart from the striking white colour) is just how stiff they are compared to the majority of other shoes on the market. The support this provides through the length of the shoe is particularly notable when standing on tiny footholds on vertical to slightly overhanging terrain. This is where the Blancos truly shine, sustained micro edging. After getting used to the relative lack of sensitivity when compared with more supple rivals, the confidence the Blancos provide on the worst of footholds is astounding. If there is a better vertical edging shoe on the market today, we haven't seen it. Coupled with the legendary Five Ten Stealth rubber, the Blancos are formidable. However, edging performance comes with a tradeoff. Whilst the stiffness of the Blancos is a huge asset in the vertical world, it can become a hindrance when the angle kicks back. Our tester experienced slippage on less positive footholds on the steepest ground where a softer shoe would lend itself better to being pasted into position. That said, one unexpected plus point for the Blancos was the often baggy Five Ten heel. Whilst the heel did have some dead space, with the laces tight, our tester experienced little to no slippage. More surprisingly, the excess rubber and lip at the base of the heel were a huge asset for powerful heel-hooking, often catching where tighter fitting heels wouldn't. The Blancos are undoubtedly designed for vertical ground and technical edging on hard sport/ trad is where they shine. However, they have a place in a boulderer's quiver also for more gently overhanging terrain or when that crucial heel just won't stick. So what did our tester make of the Blancos overall? If they fit and you are looking for a shoe you can really – and we mean really – trust on the smallest edges, where precision footwork is the difference between success and failure, the Five Ten Anasazi Blancos are the pinnacle of edging performance and deserve a place in your collection. Things we like: Technical edging marvels; supportive last; comfortable soft inner; sticky rubber; unique heel; sharp looks. Things we don’t like: Lack of sensitivity on steep ground; possibly a little narrow for those with wide feet; very little. Great to seeing this hiking shoes. Hiking is enjoyable riding. 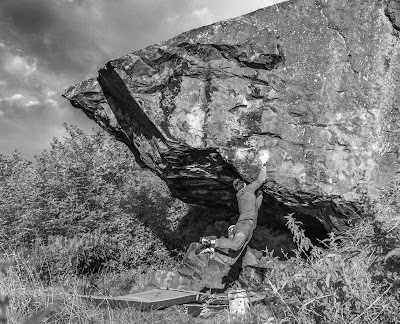 Useful article for climber.